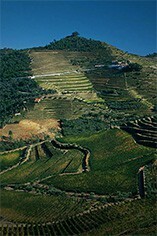 The Institute of Masters of Wine organised a comprehensive tasting of 1997 ports to be tasted in alphabetical order. No. 34 was Warre and what a wonderful way to finish. Powerful and harmonious with a beautifully integrated tannins, its is colour holding very well, with no spirity notes or signs of premature ageing that have been noted with some of the 1997s. 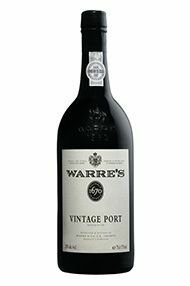 Indeed the fact that it was placed last is indicative not of the fact that W is close to the end of the alphabet, I suspect, but rather because the Warre 97, of all the great wines produced in that year, is currently showing the best. There is no shortage of competition but Cavadinha, high in the Cima Corgo, is one of the most photogenic of all the Quintas. Whence the famous Warre floral elegance, complemented by the tiny yields from the other key property, Quinta do Retiro, which is located in the warmer Rio Torto Valley. There is a potential risk that Warre, the middle sibling, may be overlooked, as all attention is focused on the Cavalier Graham and the Roundhead Dow, on Carnival and Lent…but time and time again it excels. The 2011 has classic ethereal aromas of violet and rock rose, the fruits of ancient mixed vines and traditional foot-treading. 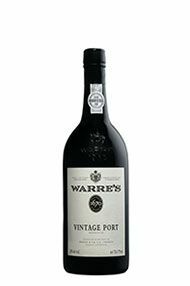 Gentle and silky in so far as Vintage Port can be thus, the wine has elegiac grace and great purity. With a lovely rich fruit cake nose with scents of violets, this is classically Warre, warm and welcoming. Perhaps the fruitiest of the classic Symington trio, it is mouth-filling with spicy, cinnamon notes. The black fruit really shines through the crisp acidity and chewy tannins whilst the superb structure (almost, but not quite, hidden by the luscious fruit) means it has the capacity to live for decades. The lion’s share of the fruit for this wine comes from old vine, mixed planting blocks, helping to add a beguiling complexity to the finished wine. 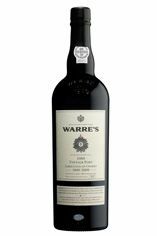 It is another superb Warre for the cellar. The altitude of Quinta de Cavadinha dictated an October harvest for this wine, perhaps evidenced by its real finesse and elegance on the palate and graceful supporting acidity. A deliciously concentrated core of sweet fruit, more approachable than both the Dow and the Graham, has created a wine with an infectious joie de vivre! An excellent vintage which is probably developing into a wine as fine as the 1963. Very fine nose and balance. As it ages further, it will begin to develop gently into a more tawny style wine. 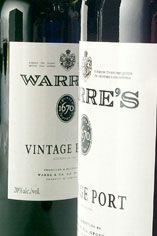 Of the famous Symington triptych ( the others being Dow and Graham) only Warre has declared in 2009, and only in strictly limited volumes, reflecting both the inherent low yielding nature of the fruit and the extensive selection that has informed all stages of its gestation. Made to commemorate the 200th anniversary of the Duke of Wellington’s liberation of Oporto, a dramatic adventure in which a certain William Warre played a prominent part, there will be a generous donation from every bottle sold made to the Help The Heroes Charity. Sourced principally from the cooler and higher vineyards at Cavadinha, Retiro and Telhada, this is a wonderfully elegant, aromatic Warre, possibly less dense of structure than some, but making up for that by the beauty and integrity of its architectural design. A velvety palate and a rich peppery finish underline this wine’s pedigree. 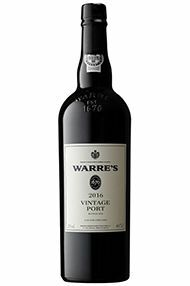 (Simon Field MW, BBR Buyer) Warre's, the oldest British port house, is commemorating the bicentenary of the liberation Oporto by the Anglo-Portuguese army with 500 cases of their 2009 vintage port. Each bottle is numbered and a donation of veteran charities will be made for every case sold. It's a crime to drink this elegant and splendid wine now, because it can live for 20 years with ease. But it tastes incredible already, so I won't tell anyone if you are tempted to crack it open before then.